Architectural elements paired beautifully with the unique continuous linear pattern of this two door cabinet. The rich Crossroads Dark Brown and Gold finish is sure to draw the eye no matter where you place this in your home. 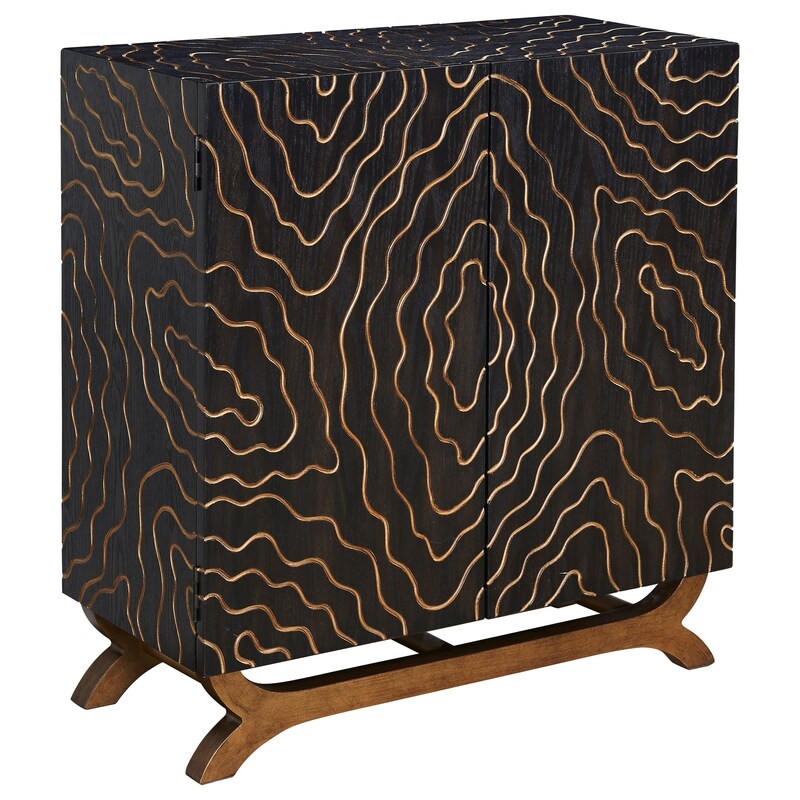 To keep the focus on the topographical pattern you will find no visible hardware. Finger pulls are cut into the upper edges of the doors allowing you easy access to the two shelves inside.